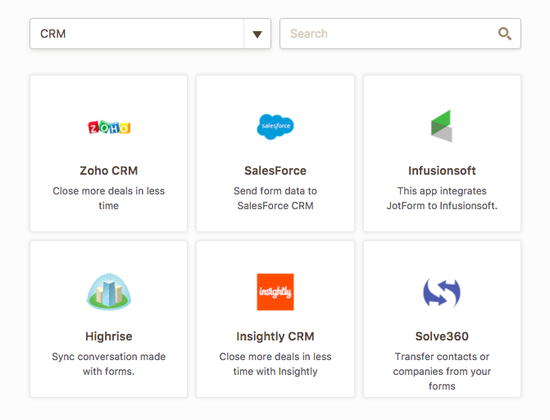 SalesForce is great at managing contacts through the sales cycle, JotForm is a great way to capture contact information to funnel into it. To get started with integrating with SalesForce, simply click Settings - Integrations icon in the toolbar. Both work fine and will help you achieve what you want, the only difference being what you prefer. Here’s a fuller document for basic set up: Flexible Data Integration with SalesForce. This guide explains how to get the most out of your SalesForce integration with JotForm. 2. the similar steps are needed/recommended for other integrations as well. 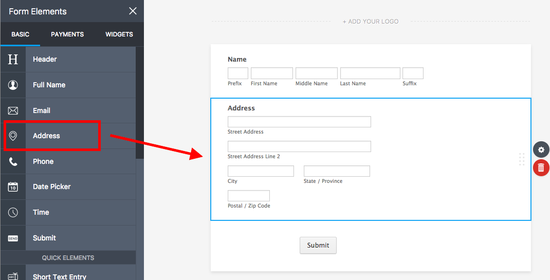 Most people use the Text Box field for customer name, but that’s a don’t! In this case, we turned on all the field options, including prefix, middle name, and suffix. is automatically mobile-ready (responsive) code. Text fields will also display correctly across devices but as separate fields. It’s a single field that groups related information. This is helpful for many things including viewing results, setting up conditions, and setting up integrations. Our smart mapping system will match up the field with its equivalent on SalesForce. When setting up the integration all that’s usually left to do is confirm that the defaults are correct. 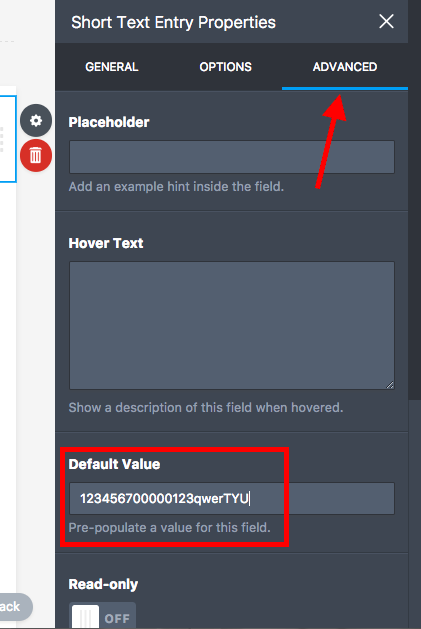 Use the Address field, instead of TextBox and/or Text Area fields. 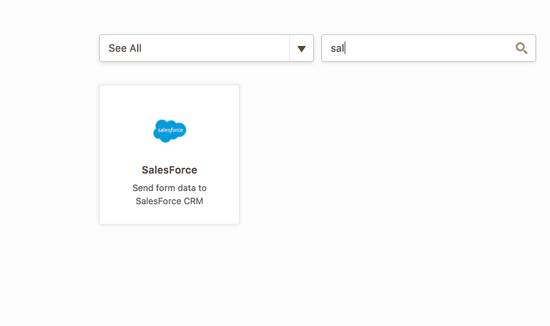 Another great thing to note in order to master SalesForce integration with JotForm is to utilize Address Field for your addresses instead of Text Area or TextBox(s). It is another option available in Quick Tools segment of your tools menu on the left. This is similar to using the Full Name field instead of text boxes. Select the segments that you need. The Address will now be immediately recognized and mapped with corresponding fields in SalesForce. You can review them and update if needed. 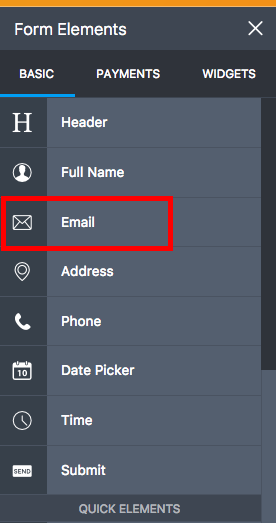 While you could use the TextBox and set its validation as email, we always suggest using the E-mail field instead (also found under Quick Tools). The Next field to mention is the Phone field. 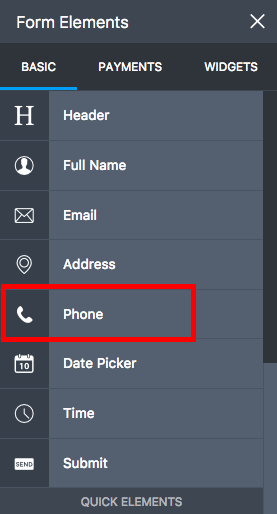 We can and should use it for capturing phone numbers for your integration with JotForm. Not only does it map well to SalesForce, but also makes collecting the number easier. The Phone field allows us to capture data in several ways - with the input mask and by using 2 different textboxes - one for the area and the other for the number. 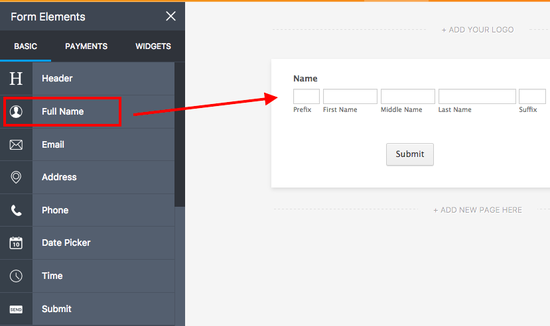 You might need to connect your JotForm fields to some custom fields in your SalesForce account. That too is possible with JotForm. For this, the TextBox field is the way to go. 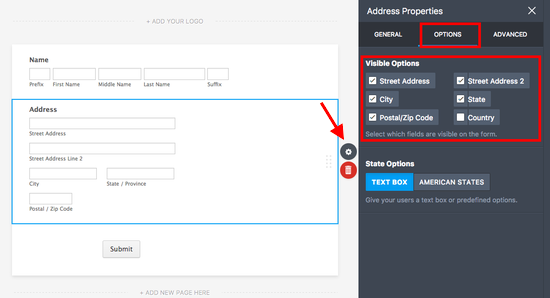 All you need is to set up some text box fields and map them to the custom SalesForce fields. 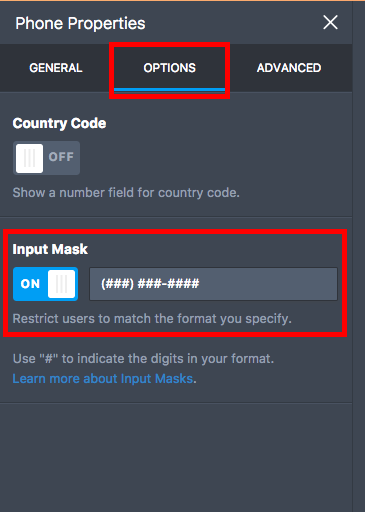 Common things users do with custom fields are to set default values and set them to read-only or hide them from view from the users. To make them uneditable, we can set them to read-only. To do that Click Properties button (gearbox icon) and then select Advanced tab. On this new window, scroll down and set the Read-Only option to Yes and then click on Close Settings. - Alternately, you can hide them instead. 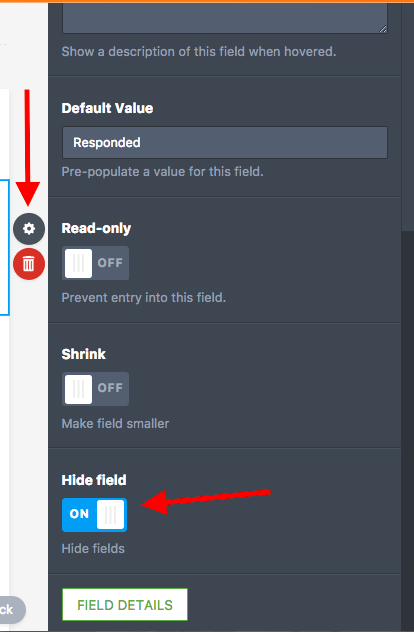 Scroll down in the Advanced section and then select the Hide Field. Feel free to clone it, and let us know about your SalesForce integration in the comments! It is possible to passthrough an Value from Salesforce to Jotform? 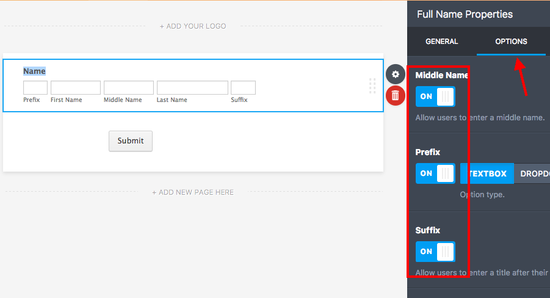 Hello is it possible to debug the form upload via jotform .. is there any log in the interface which shows me some errors ? Some of my custom lead fields are not showing up to map to a certain lead record type. Any suggestions? 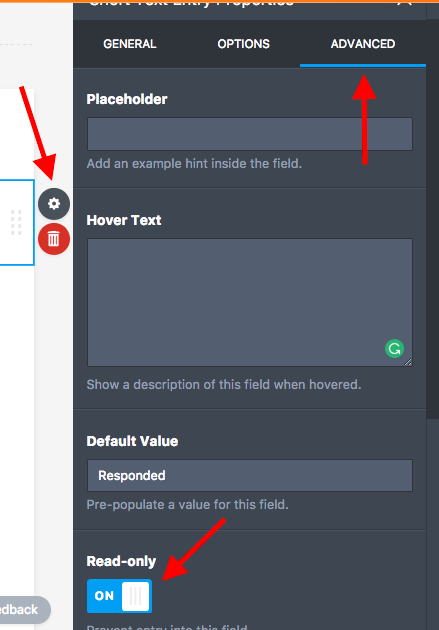 The field types that are not showing up are both text boxes and check boxes. How can you tie the jotform back to a Salesforce campaign? How can I have a CSV of my data emailed to me? Can Jotform / Authorize.net / Salesforce work together?